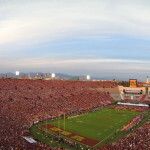 Their nationally recognized symbols of the sport also set the bar high with Tommy Trojan, Traveller, and the USC Song Girls. 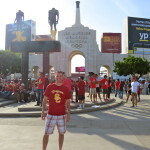 Tailgating sprawls into every nook and cranny on campus and the excitement flows into the cavernous LA Coliseum. 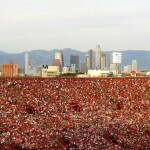 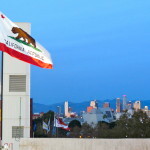 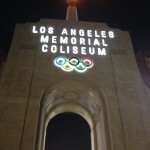 It has been the site of many historic sporting events outside of USC – perhaps most notably, the 1984 Olympics. 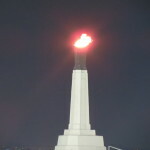 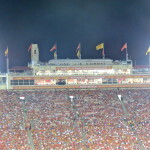 At the onset of the fourth quarter, the torch that was lit during the opening ceremonies is illuminated again, thus firing up an always enthusiastic crowd of 90,000. 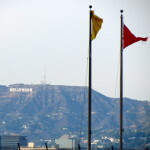 This venue is also rich in stunning views including the iconic Hollywood sign and the Los Angeles skyline complete with mountainous backdrop. 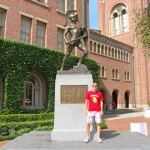 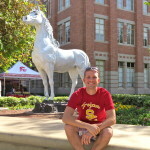 The Trojan Shrine is a famous collegiate landmark that symbolizes the pride of USC. 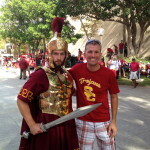 In mascot form, one can see Tommy Trojan keeping time with the USC Marching band and uniting this devoted fan base. 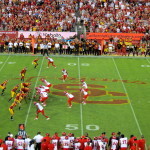 The crowd especially ignites when he drives his sword into the field prior to kickoff. 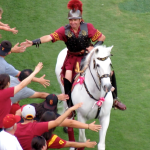 Adding to the pageantry of it all is Traveler – a noble white horse ridden by the Trojan warrior – a tradition since 1961 and true college football treasure. 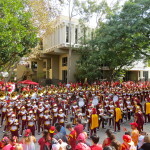 Adding to the spirit and tradition of game days at Southern Cal – the USC Song Girls. 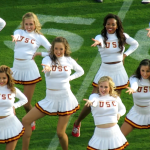 Fiercely talented and always resplendent, the USC song girls have been a tradition on the sidelines here since the 1960s. 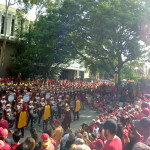 Primarily performing as a dance squad, they rehearse tirelessly and uphold a high standard of professionalism. 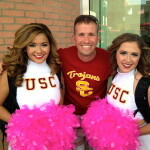 Outfitted in their trademark white, these girls are hard to miss and give USC football a little bit more of that California flair. 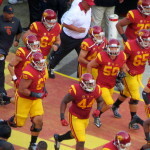 Couple this with “Fight On!” – one of the most recognizable fight songs in all of college sports. 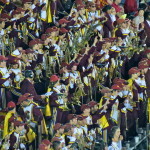 Combined with the poise and precision of the USC Marching Band, the entire experience of this fight song is hard to match. 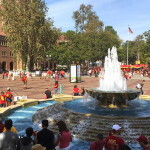 A game day at the University of Southern California is one of those bucket list experiences largely because this place has so much to do with what makes college football so incredible. 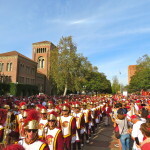 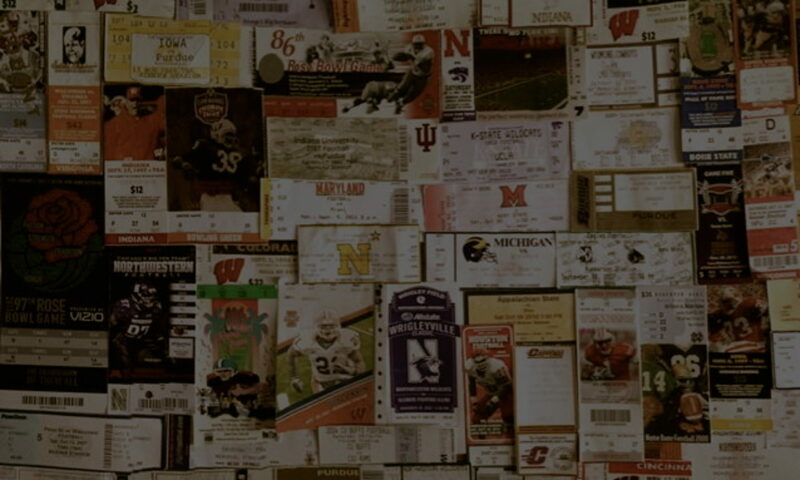 Once here, it doesn’t take long to find out what keeps the spirit of USC keeps fighting on.